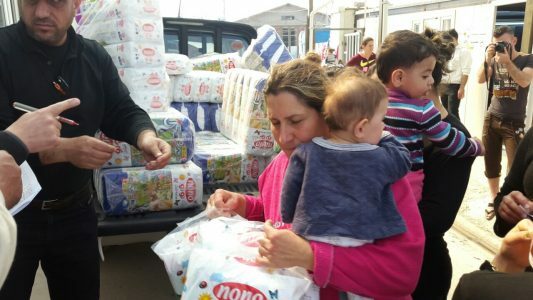 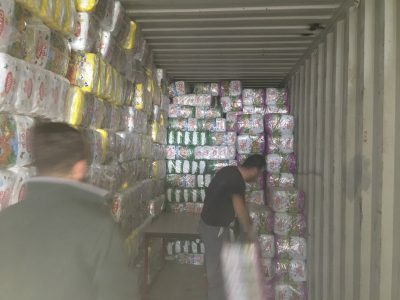 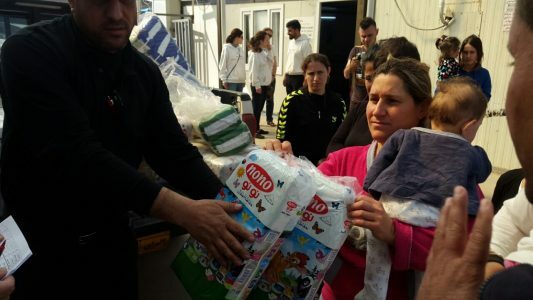 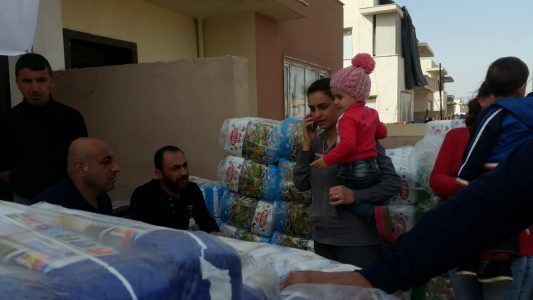 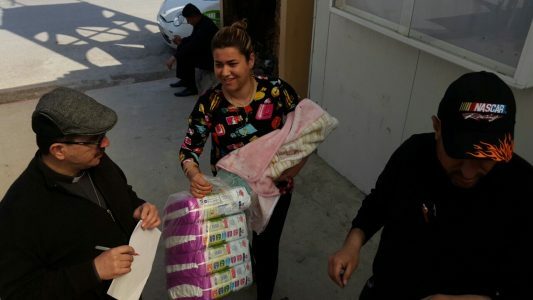 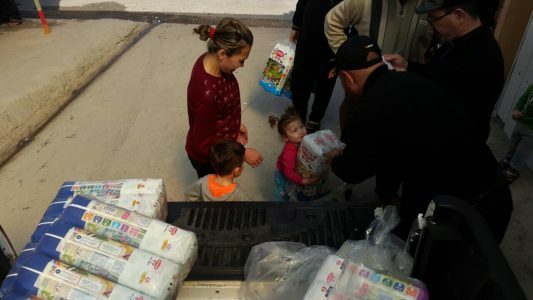 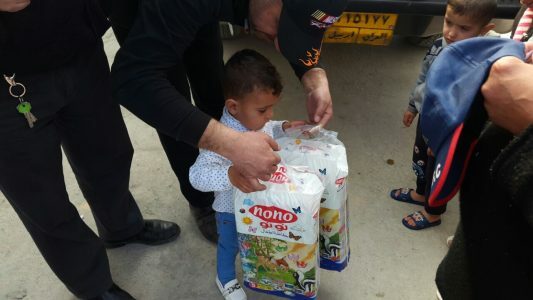 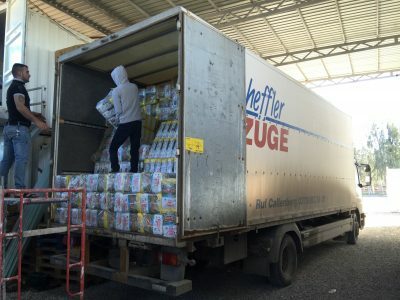 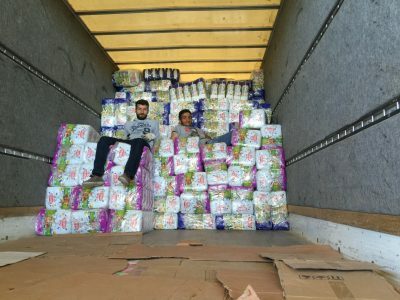 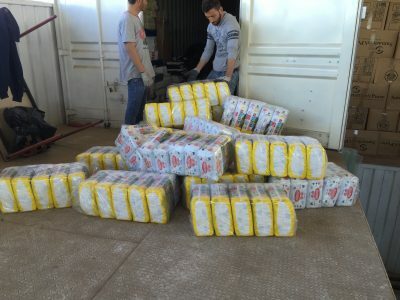 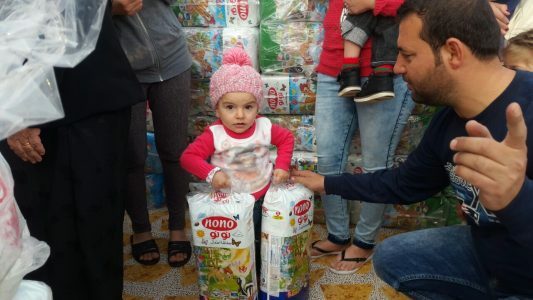 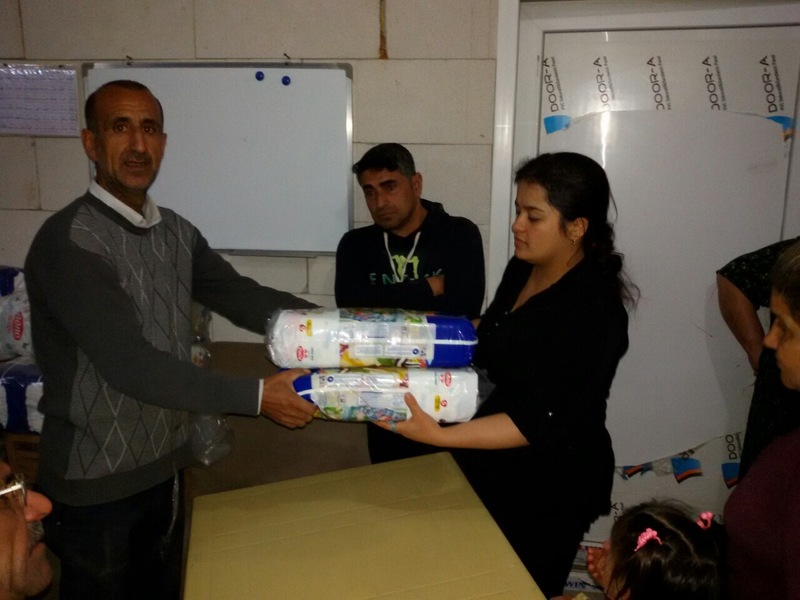 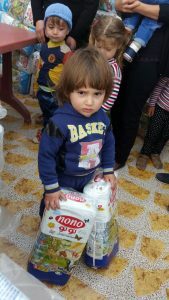 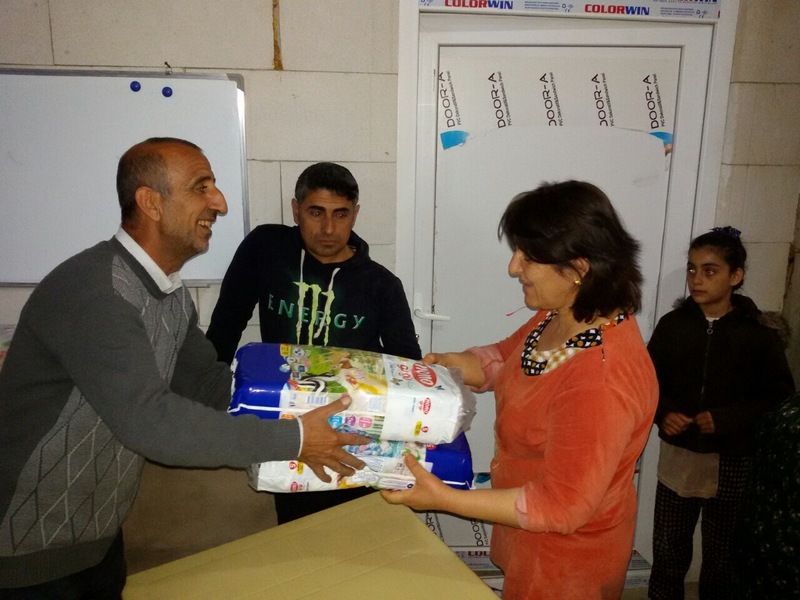 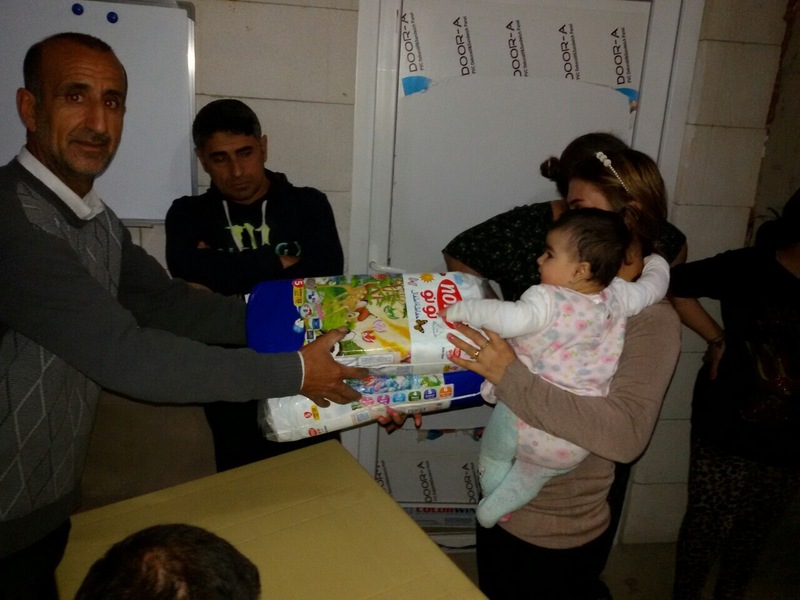 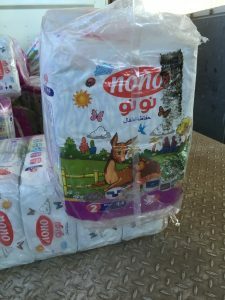 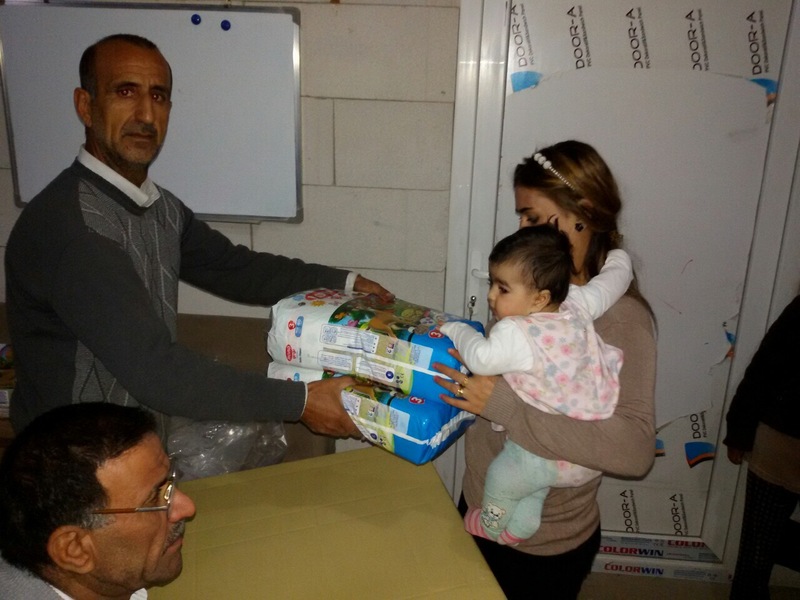 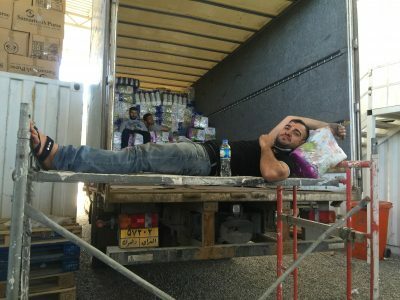 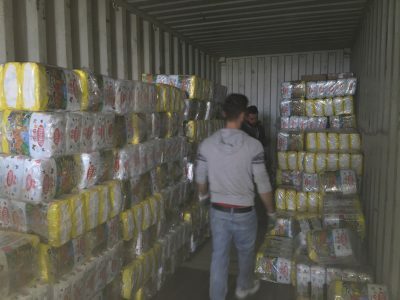 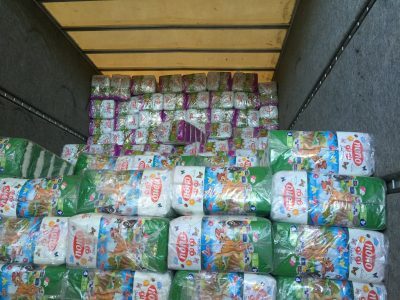 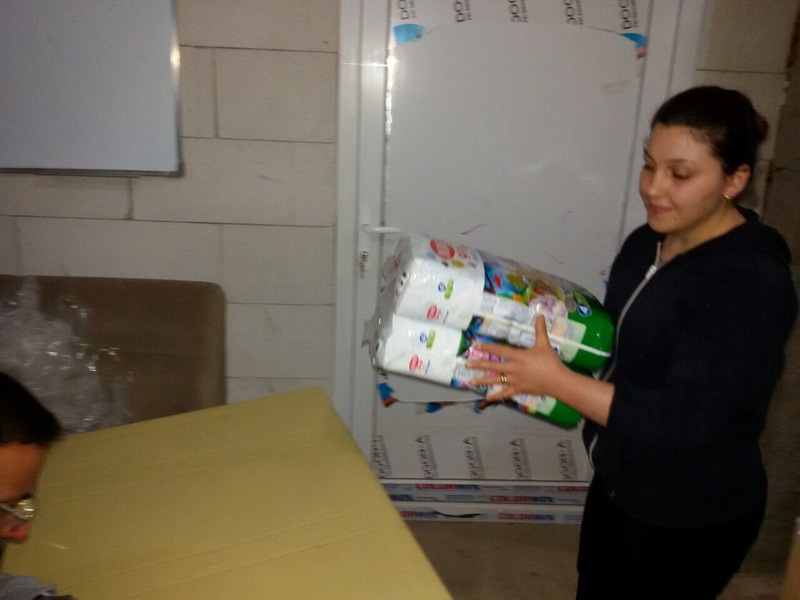 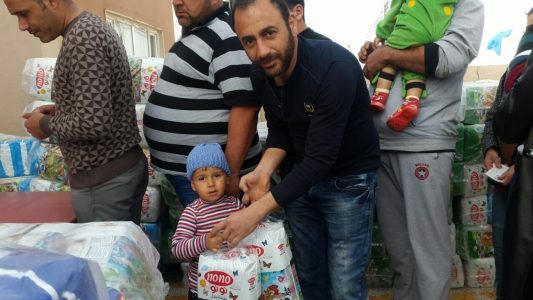 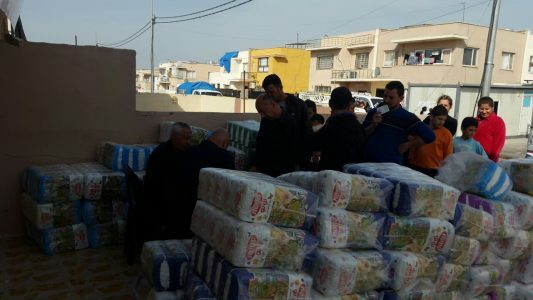 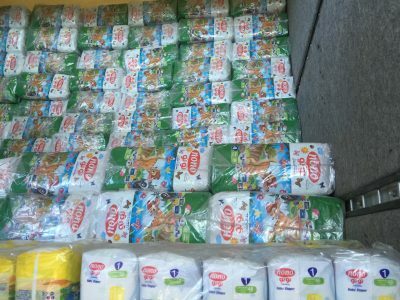 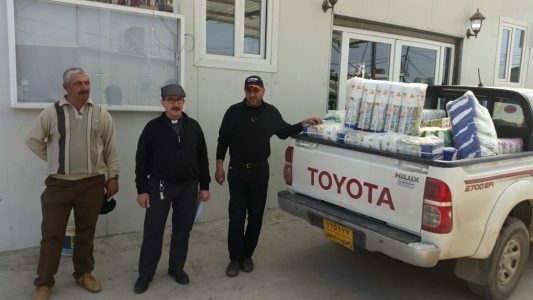 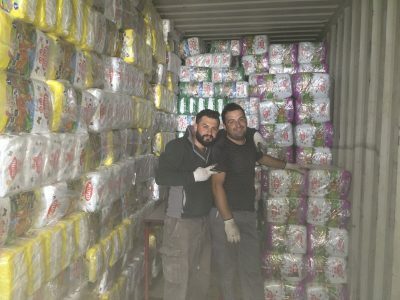 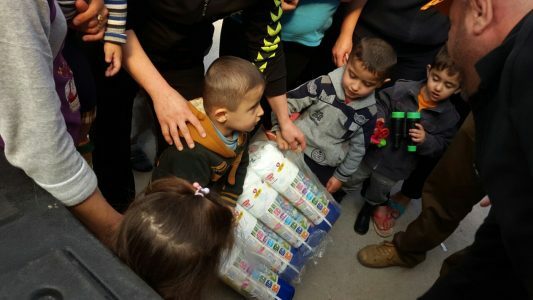 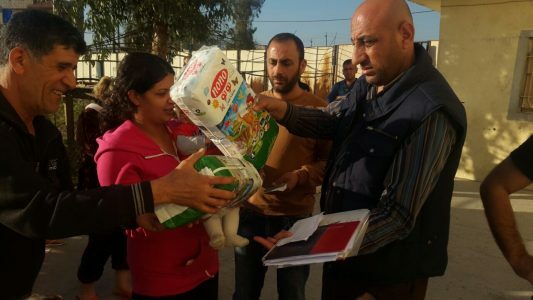 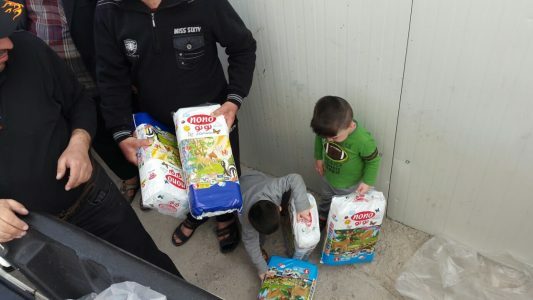 Diaper shipments are distributed by large truckloads to refugee camps across northern Iraq. 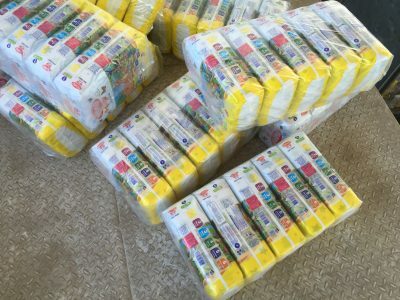 The cost of a single shipment of diapers ranges from $18,000- $20,000, roughly, 11 cents per diaper. 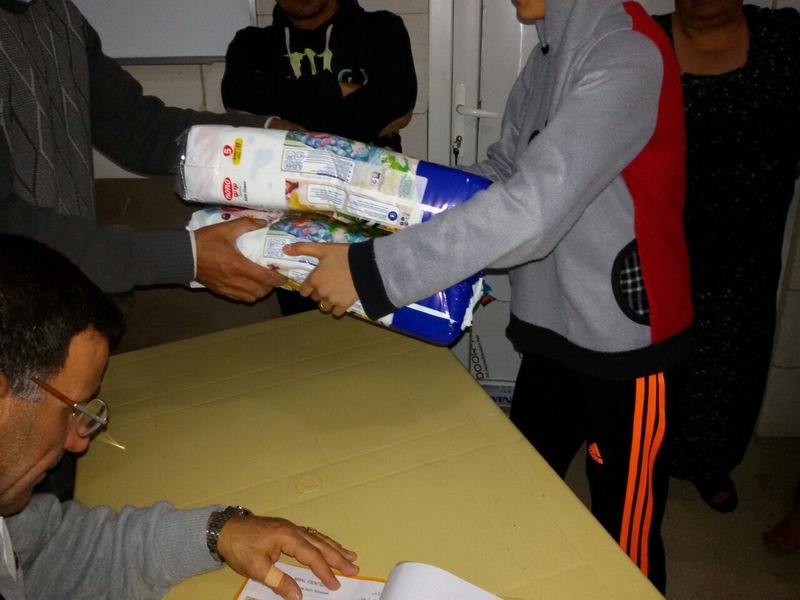 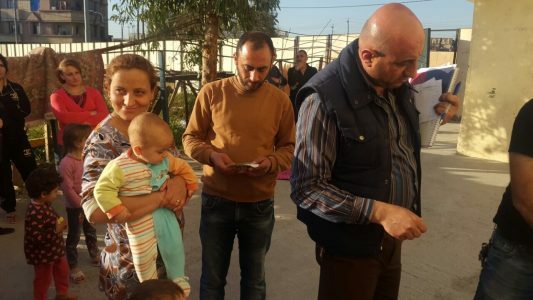 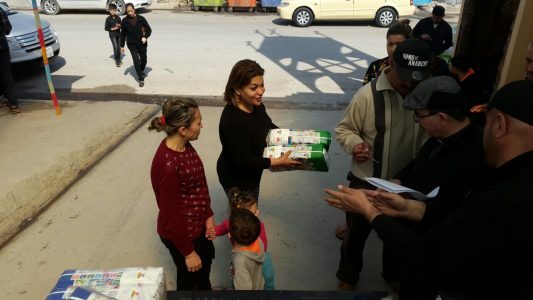 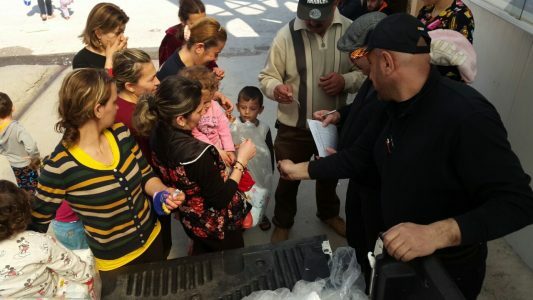 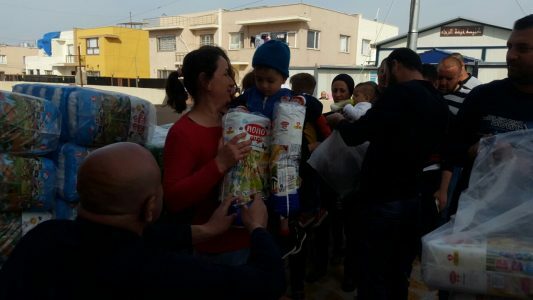 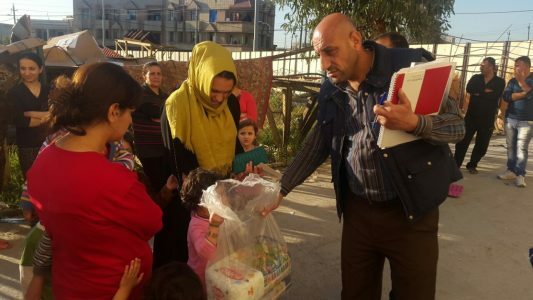 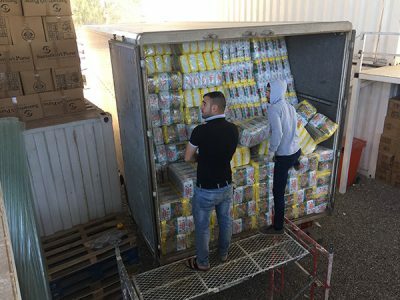 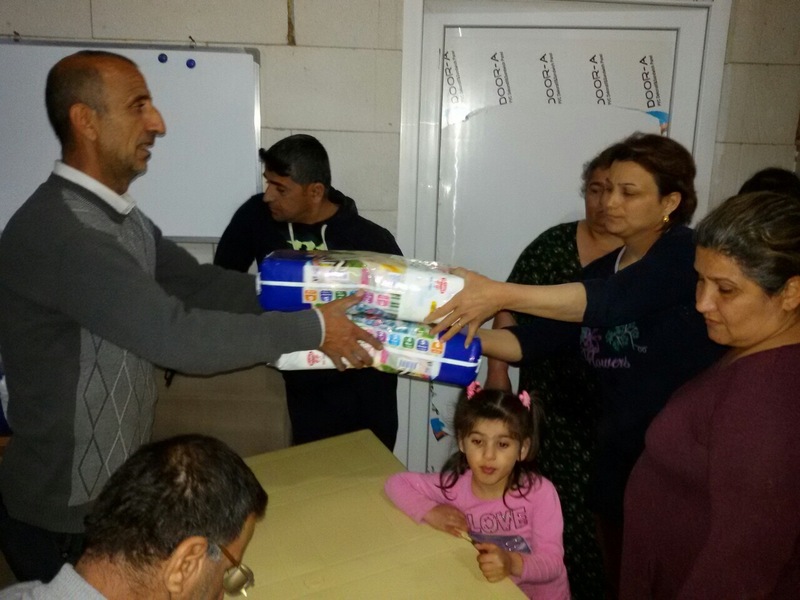 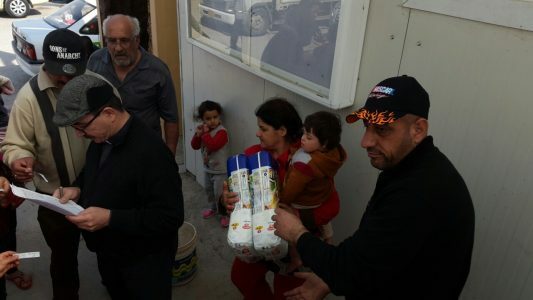 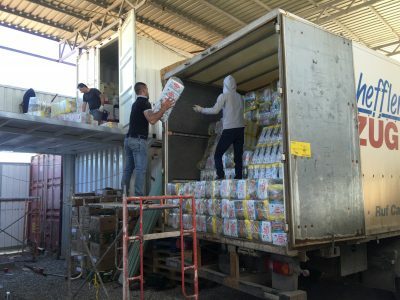 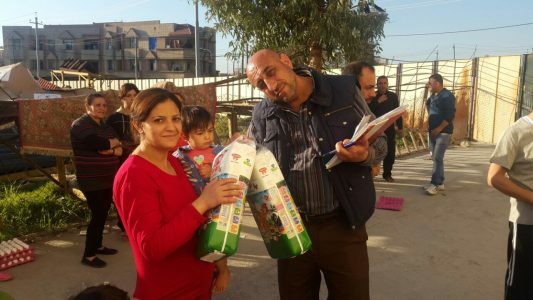 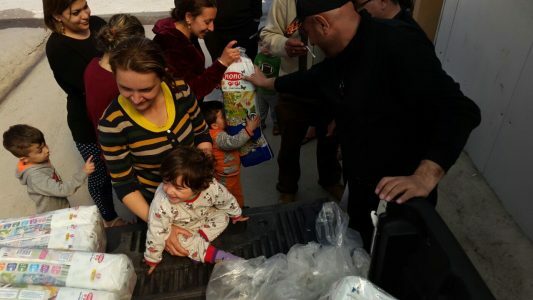 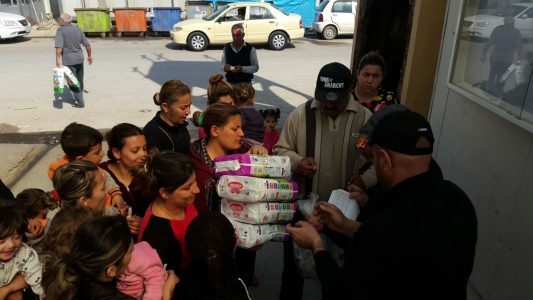 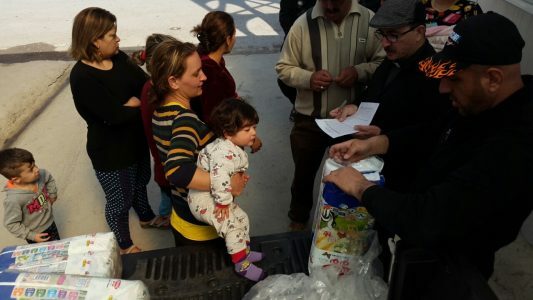 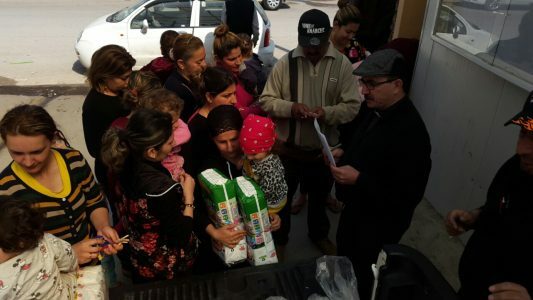 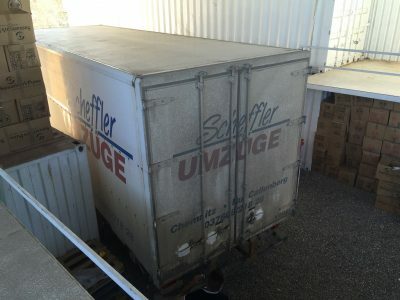 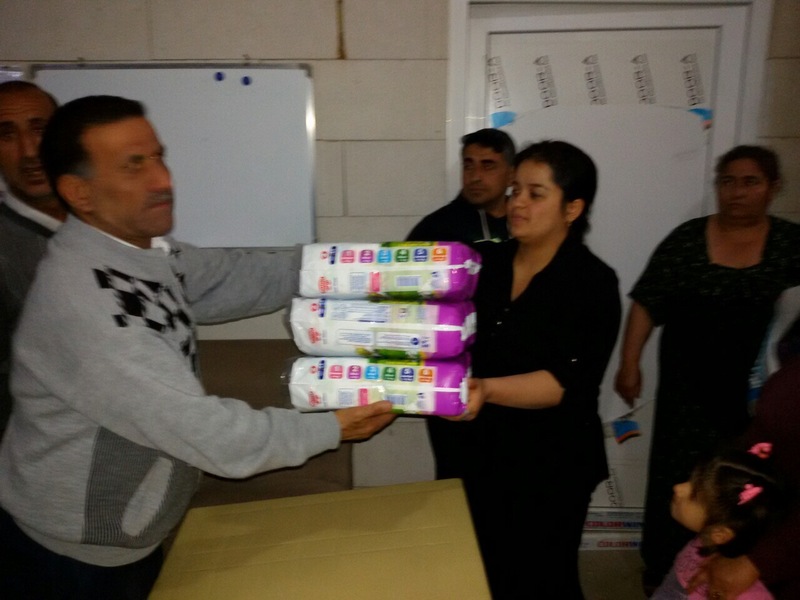 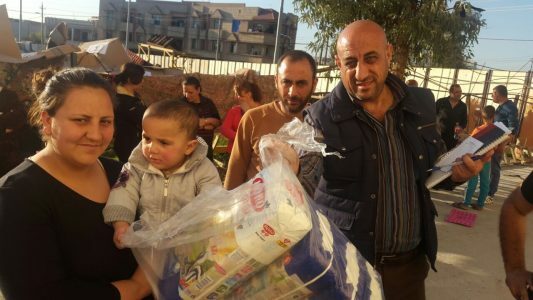 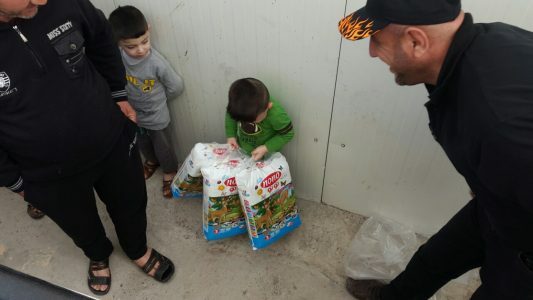 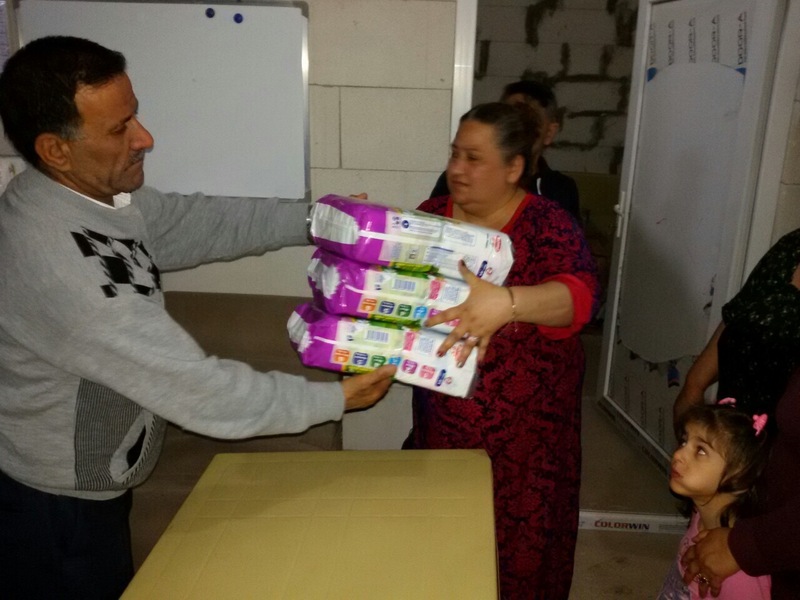 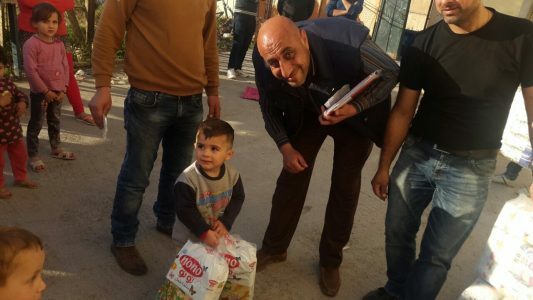 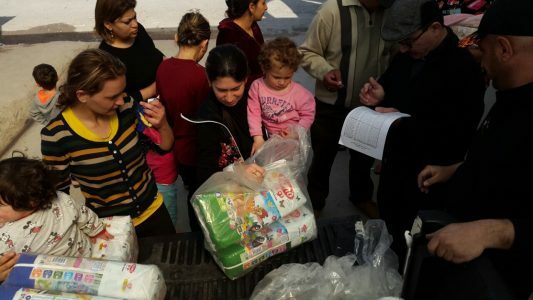 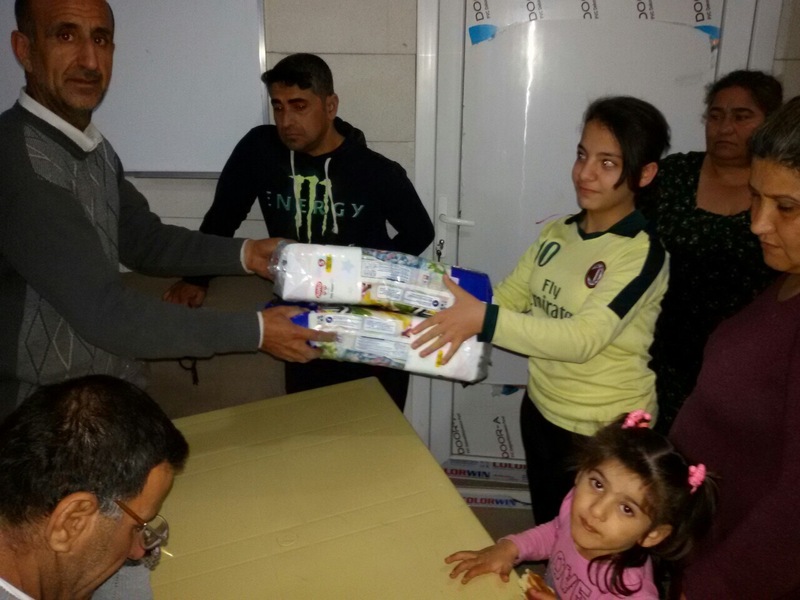 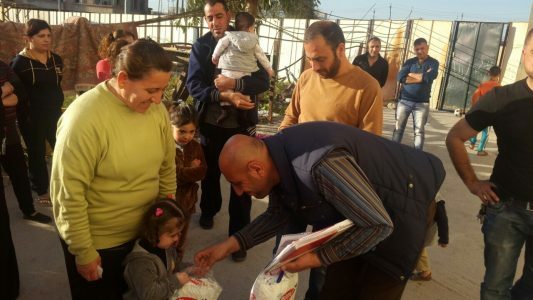 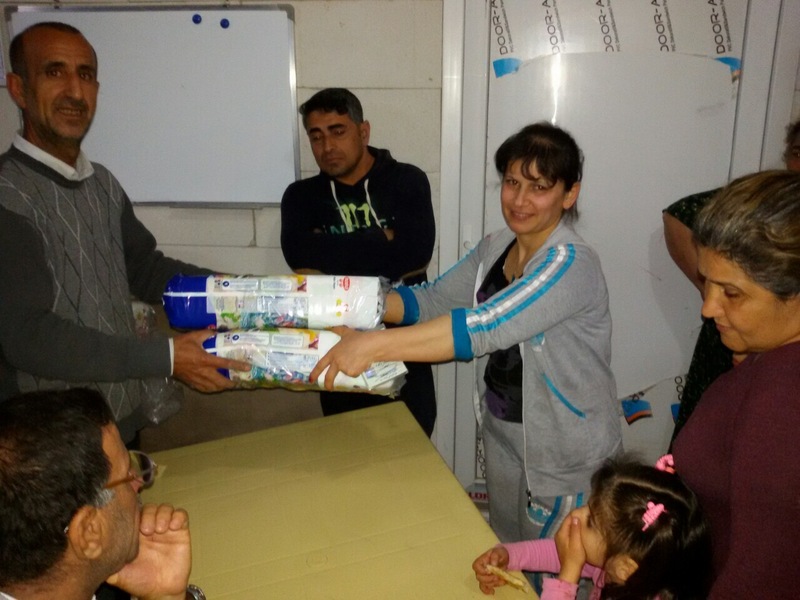 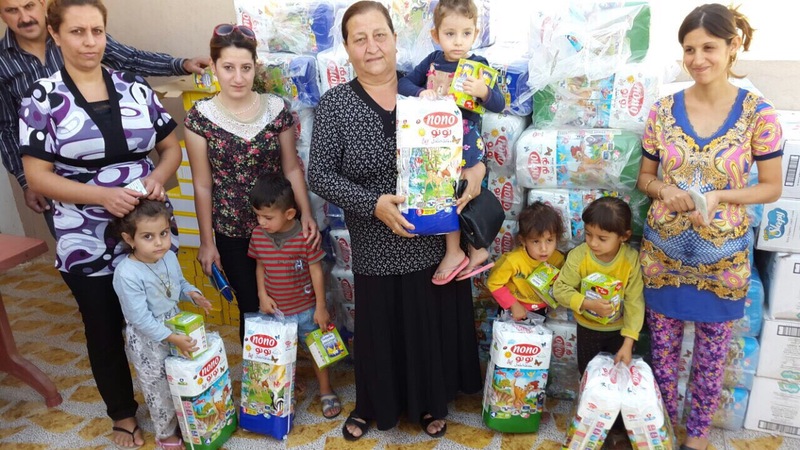 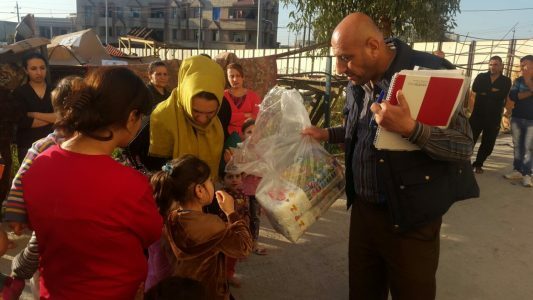 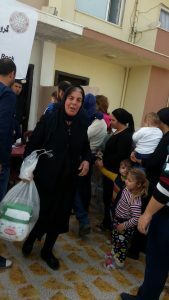 Each shipment helps over 300 Christian refugee families in Iraq. 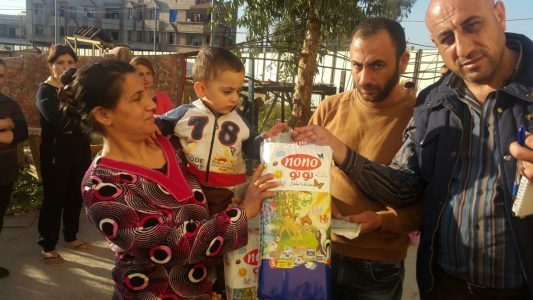 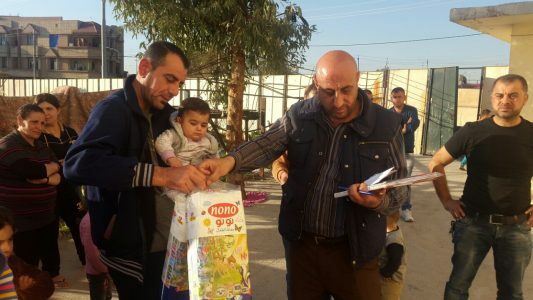 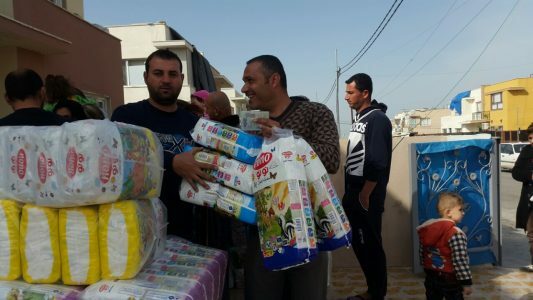 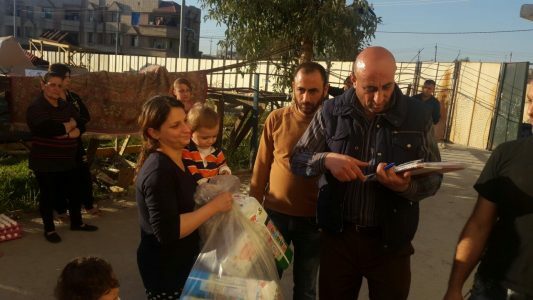 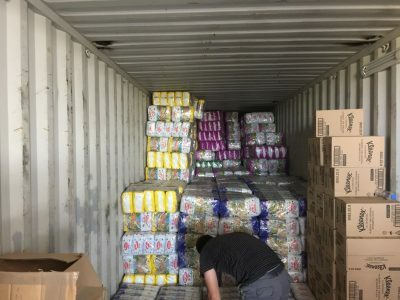 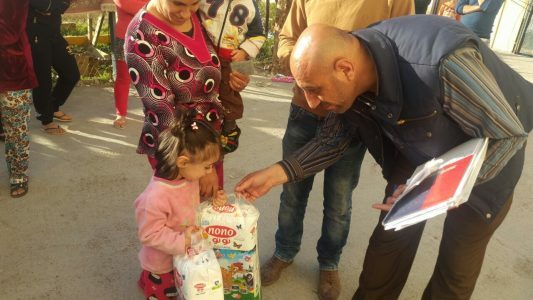 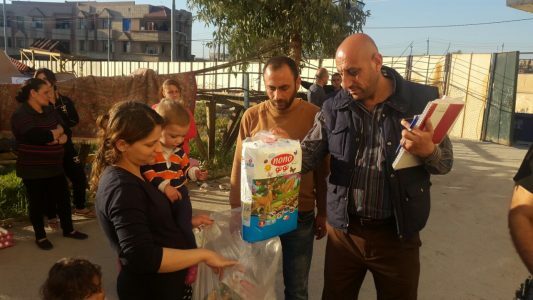 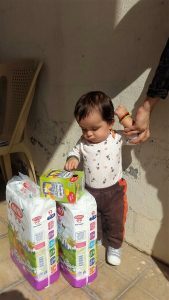 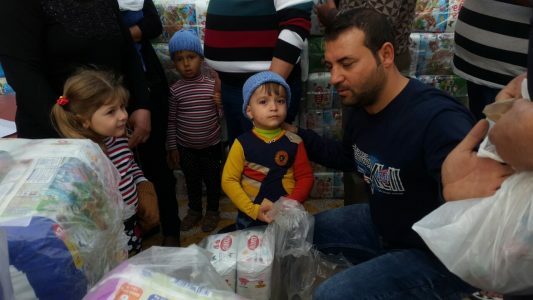 In 2017, with your help, the Diapers for Refugee program plans to delivers 640,000 diapers to our Christian brothers and sisters suffering in the Middle East. 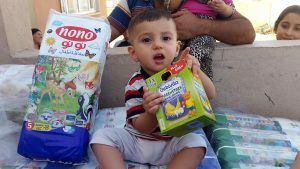 Until March, any donation made to the Diapers for Refugees program will receive a Nazerene pin as a free gift. 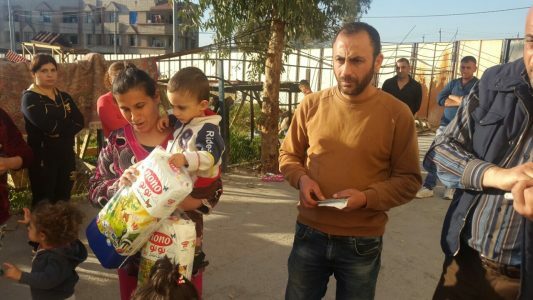 On this pin is the Arabic letter pronounced “nun,” and it is this letter that the genocidal Muslims of the Islamic State (ISIL) use to mark Christian homes, businesses, and properties for destruction or confiscation – much like the Nazis used a yellow Star of David to mark the Jews. 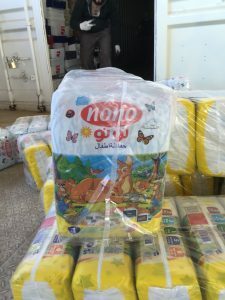 “Nun” is the 14th letter of the Arabic alphabet (the equivalent of the letter N in our Roman alphabet), and is the first letter of the word Nasara (Nazarenes), which is what Muslims have called Christians since the beginning of their invasion of the Christian world in the seventh century. 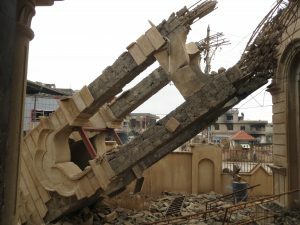 Christians under Muslim rule have never called themselves Nasara, since the intent of Muslims using this term was to portray Christians as a contemptible and disobedient sect. 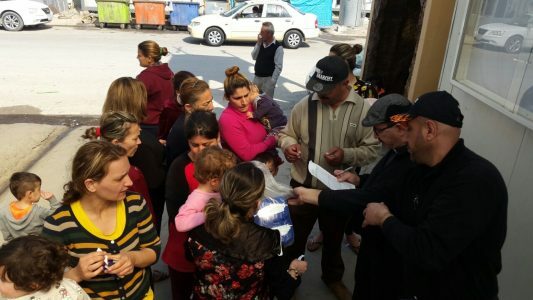 For centuries Muslims have used the “nun” letter to mark Christians and their property, just as is done today by the Islamic State in Iraq and Syria. 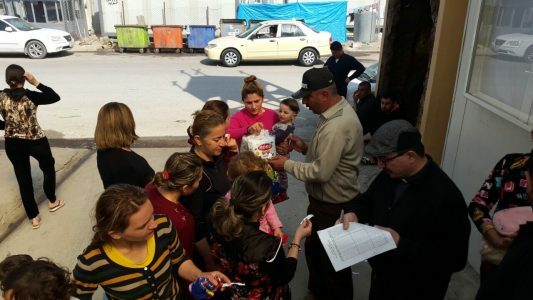 Christians must no longer be singled out by the terrorists of Mohammed! 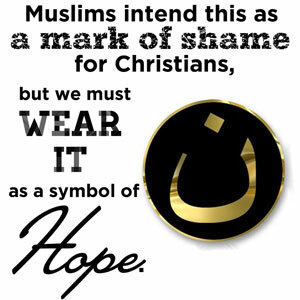 By wearing this symbol, you are helping to express outrage and demanding that this madness be stopped! 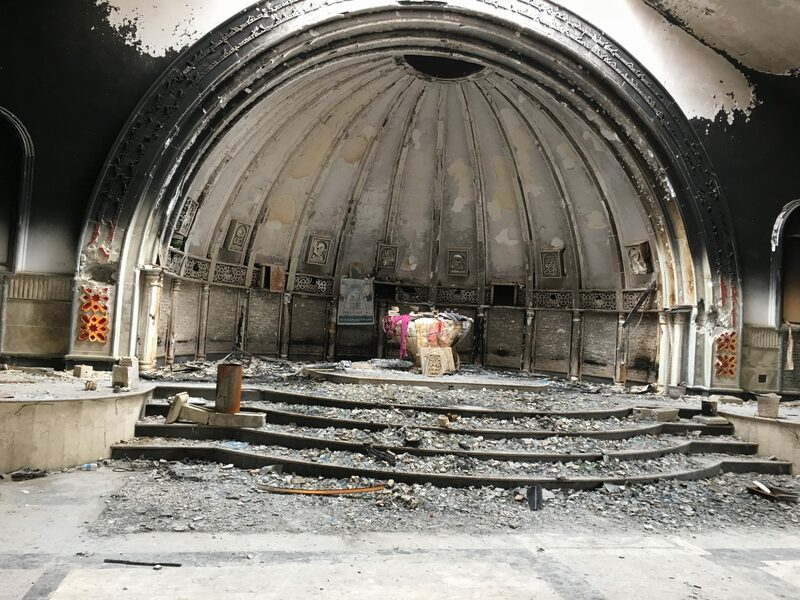 To radical Muslims, this “nun” symbol means Christian genocide, but to us, it symbolizes hope for the future and a call to remember those who are suffering unjustly. 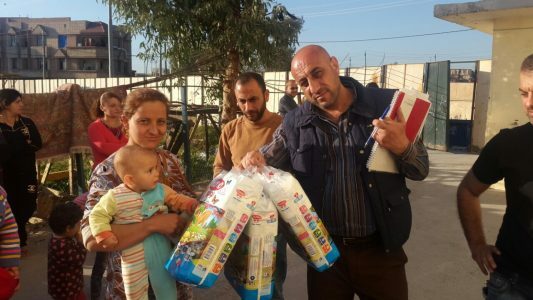 For Christians in the United States, this Arabic letter which is used to mark Christian homes and business must become a symbol of solidarity with Iraqi and Syrian Christians who by the hundreds of thousands have been forced to flee their homes to escape Islamic terror. 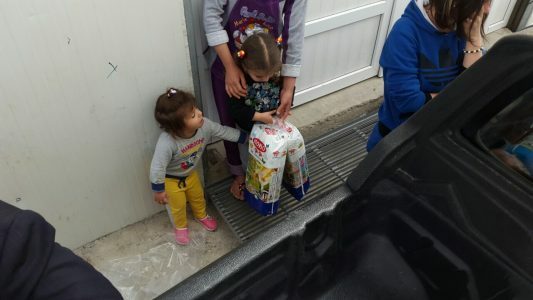 Christian refugee children bow their heads in prayer during one of our Christmas for Refugee programs.